Boris Thomashefsky, renown Yiddish actor, seated in the center with the rest of the Gartner Theatrical Company of Chicago. Also pictured here is actor Harry Jordan, standing in the back row, second from right. 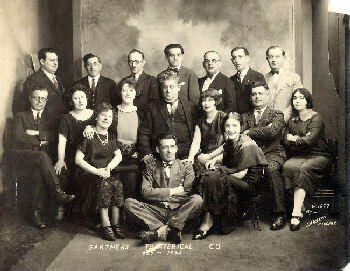 Jacob Birnbaum and Della Schwartz are said to be in this photo but their exact location in the photo cannot be identified.